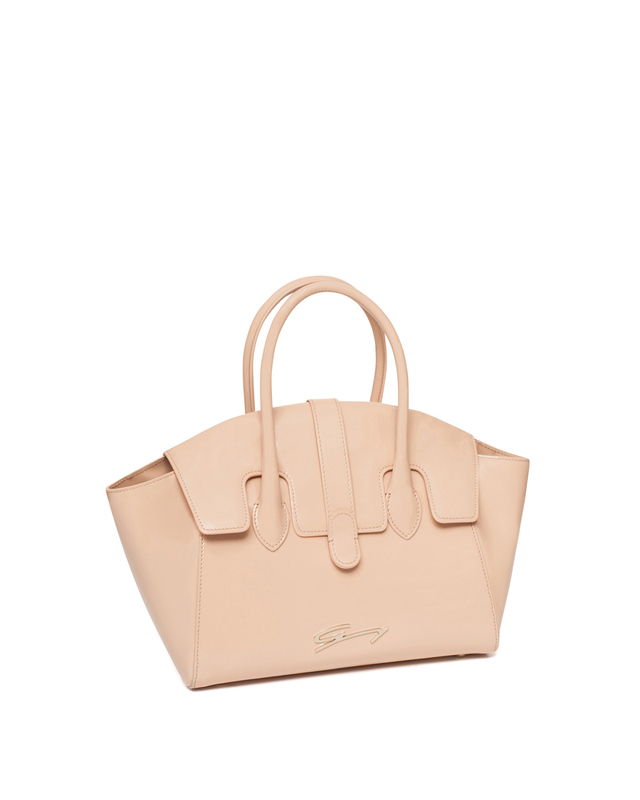 The mini satchel proposed by Genny has an essential and sophisticated line. 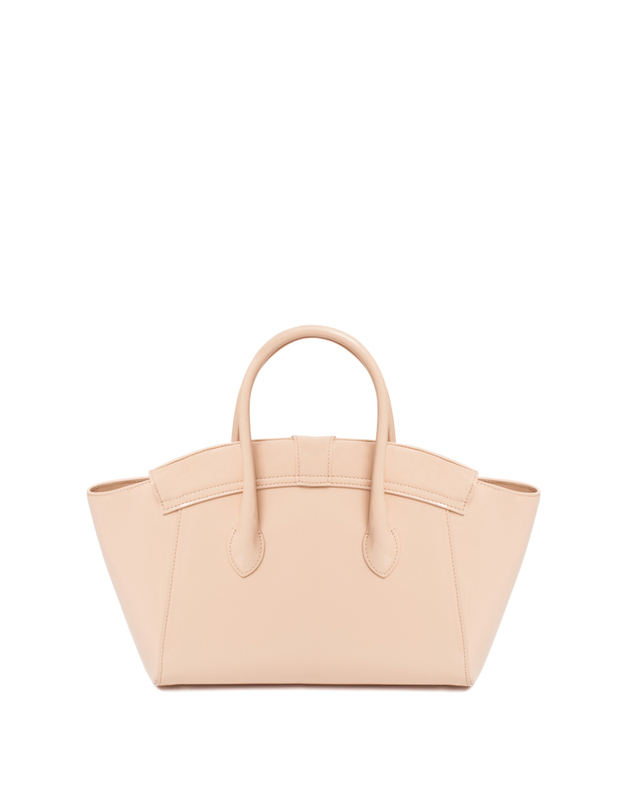 With its patent covered rigid handles, it becomes the ultimate prêt à porter accessory. 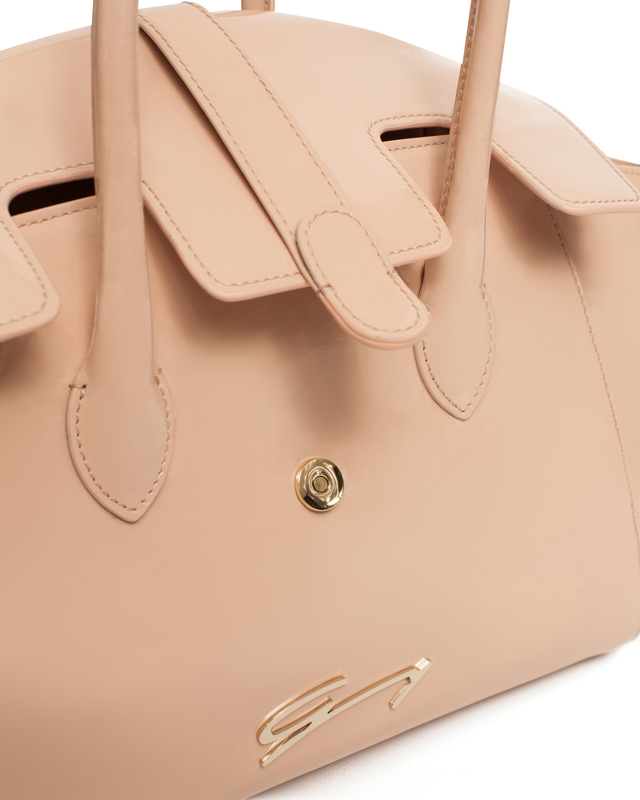 The elegant central flap closure and golden details add a touch of allure to your style from the early morning hours to evening cocktail time.